Space. Convenience. Functionality. This one of a kind umbrella holder attaches to most deck railings with vertical balusters. After the simple installation, an umbrella or pole of any type is placed in the holder and secured in place. 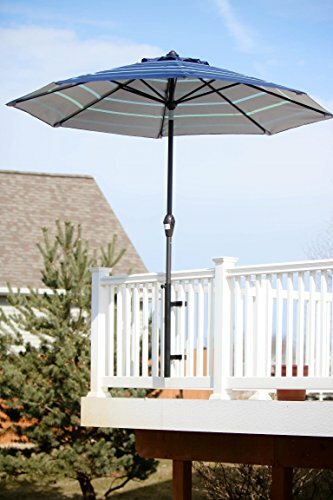 This great solution eliminates the need for a big, bulky umbrella stand and saves valuable space on any deck or patio. If you have any questions about this product by J&C Brands, contact us by completing and submitting the form below. If you are looking for a specif part number, please include it with your message.